How Mine went down 3-0 to inform FC Platinum in a Castle Lager Premier Soccer League match that was played at Luveve Stadium. 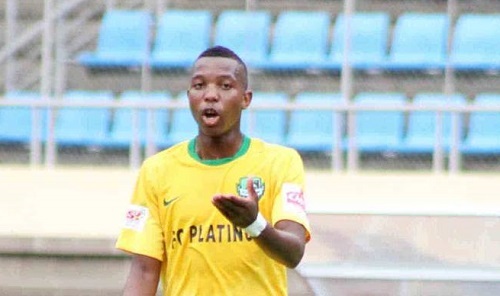 Norman Mapeza’s FC Platinum men showed they intentions early when Brian Muzondiwa scored in the 10th minute in what was their real first chance of the game. Muzondiwa was set by evergreen Elvis Moyo who sent a hard a low cross that Muzondiwa coolly sent to the goal only to beat an exposed Munyaradzi Diya who was in goals for the gold miners. With former Tsholotsho FC holding midfielder and Zimbabwe youth international Gerald Takwara getting the better of How Mine captain and anchor-man Menard Mupera in the middle of the park, Luke Masomere’s men found it hard to contain early pressure. Fourteen minutes into play, FC Platinum went 2 nil up courtesy of a well taken goal by club returnee Obrey Chirwa. Chirwa scored after an impressive Takwara sent a defence splitting pass and Chirwa had to roast veteran Tapiwa Khumbuyani before he beat a once again exposed Diya. Surprisingly Khumbuyani was playing as a central defender while another veteran Gilbert Banda was sitting on the bench. How Mine continued to fire blanks and Masomere looked a worried man and as a result he pulled out left back Moses Gutu . Gutu was interestingly replaced by a natural attacking midfielder Thembani “Smaller” Masuku. FC Platinum killed the match as a contest in the 66th minute after Marshal Mudehwe capitalised on a How Mine defence mix up. Mapeza was naturally happy after the win while his counterpart Masomere cast a lonely figure as his team’s before the post-match interviews with the members of the press.